Why use the CJWinter 192 Series? 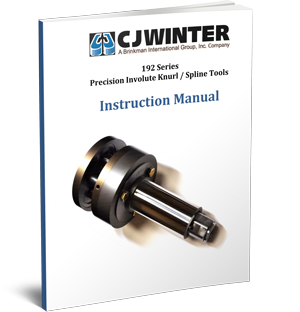 The CJWinter 192 Series tools and rolls have incorporated unique, Patent Pending features and advantages not always found on other knurl tools. Get information about the 192's tool size, capacity, and more in our 192 Series Instruction Manual. Use the form at the right to download and print a copy of this for your records.